The residential neighborhood of Windermere in Seattle, Washington is known for its quiet streets and high-end dwellings. 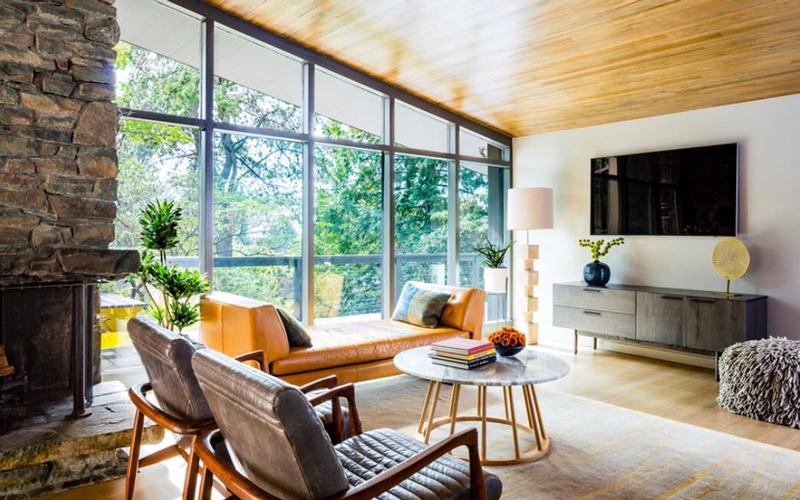 It's also home to this contemporary residence, which was remodeled by Paul Moon Design. 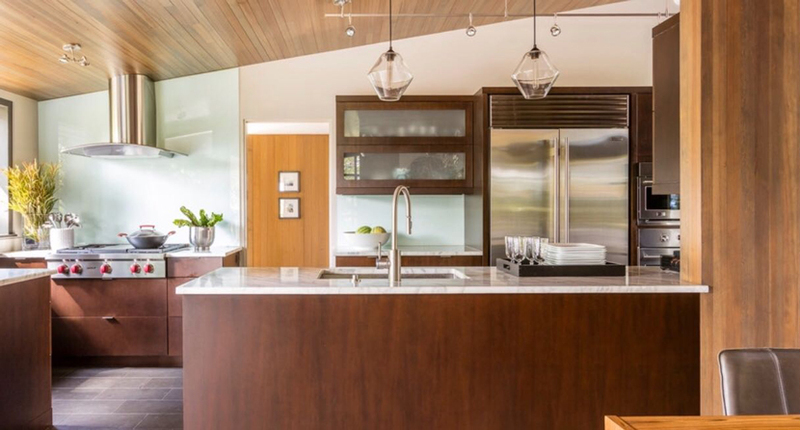 Two Trove pendants in Crystal glass hang above the kitchen island. Unique to the Crystalline Series, the Trove pendant light features defined angles and an array of color options. Here, our classic Crystal glass complements the earthy palette of warm wood tones and cream-colored accents. 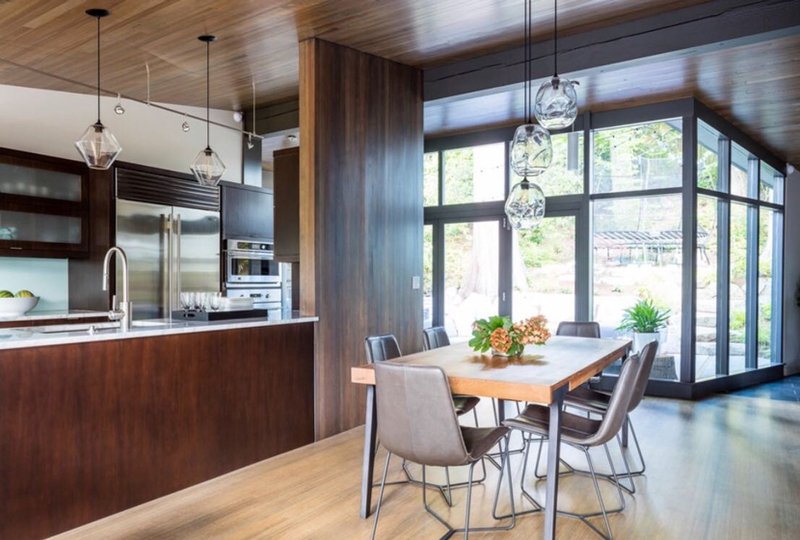 Whether you choose to hang handmade Niche pendants over and island, a kitchen table, or a breakfast nook, they will serve as the focal point in your space. With stylish appliances, open layouts, and Niche modern lighting, you can create a dynamic and elegant lighting display.